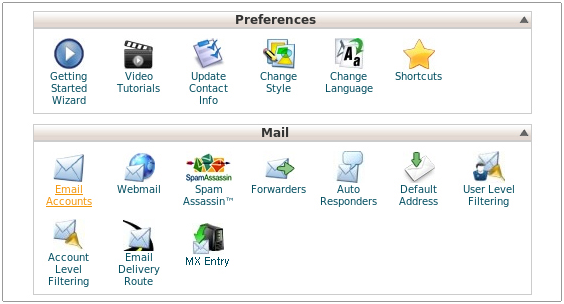 cPanel offers an easy to user interface for creating and maintaining email users for your website. To setup and administer your email accounts, you must have access to your control panel's administrative username and password. 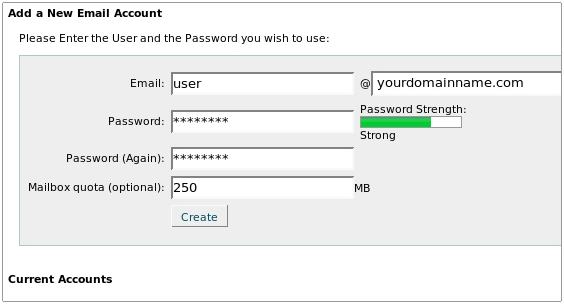 We can reset this password for you but do not have access to it and cannot view it. 2. Once you are logged in, click the Email Accounts icon. 4. Click the [Create] button to create the mailbox.